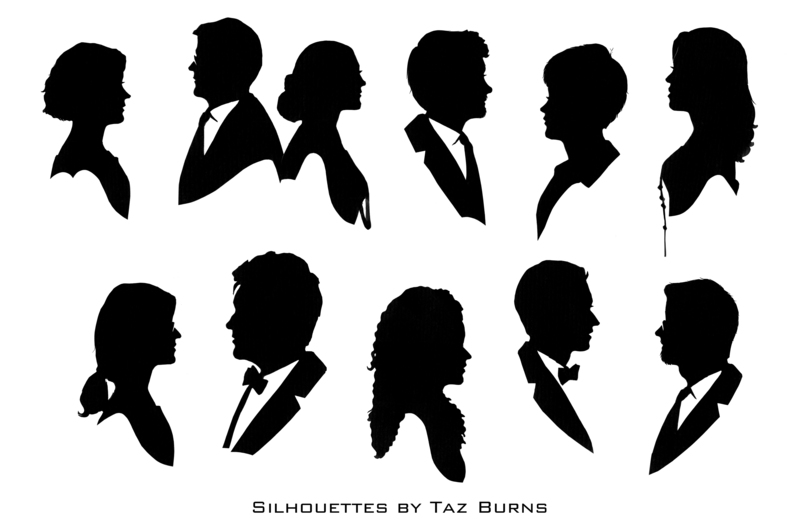 S THE DAUGHTER of Charles, one of the UK’s leading silhouette artists, Taz Burns has been surrounded by the art of silhouette all her life. Taz began cutting her stylish silhouettes in 2011, while studying in Falmouth for a degree in English Literature. For a short time she was to be found on sunny Saturdays selling silhouettes in Falmouth’s market square. 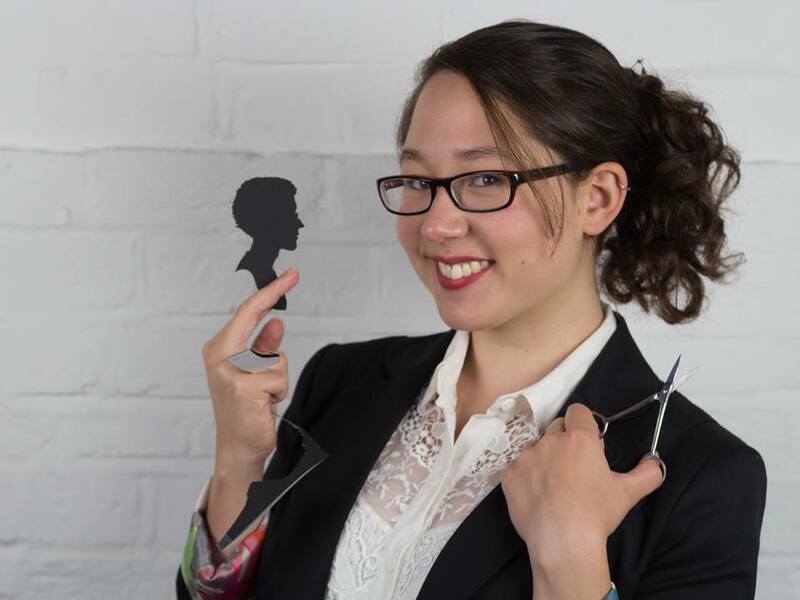 Today she lives in Bristol and is pursuing her interest in theatre and performance, with silhouette cutting an important and interesting part of her work. Taz is the newest artist on the team and is an accomplished artist. She has turned silhouette cutting into something of a family tradition. Expect her to cut her silhouettes in about 2-3 minutes each. In 2014 she accompanied Charles to Houston to assist him during the world speed-cutting contest featured in the documentary “Silhouette Secrets“. Her experience as an actor (Taz has full Equity membership) informs all her work; Taz will present herself at your event in great style. A set of new silhouettes by Taz Burns, cut from life in about 3-4 minutes each at a christmas party in the Science Museum.